Classic hardbacked Moleskine notebook with iconic rounded corners and elasticated closure strap. Large notebook with 240 pages of high-quality ivory paper. Available with plain, lined, ruled or dotted pages. 130mm x 210mm. 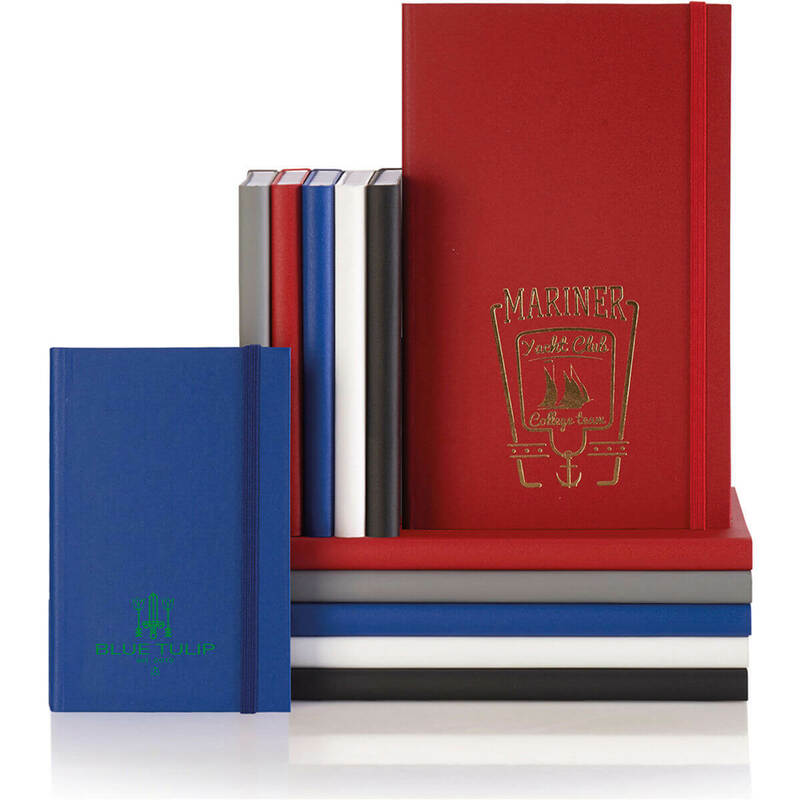 Our branded Moleskine notebooks make for the perfect high-quality corporate gift to really make an impression.